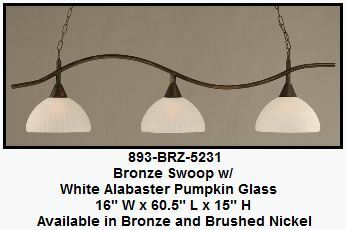 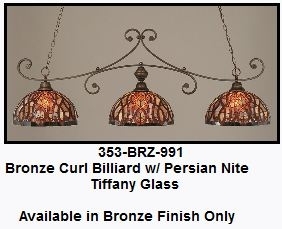 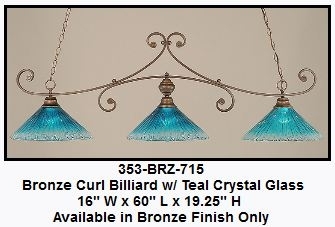 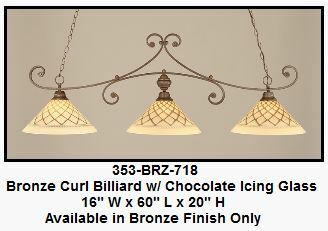 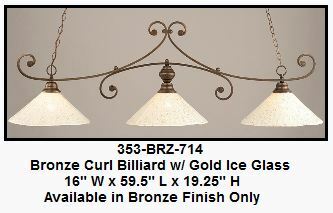 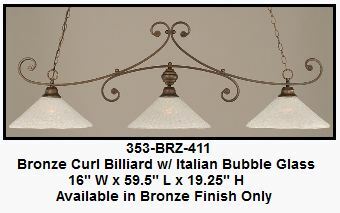 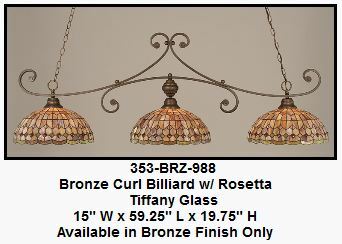 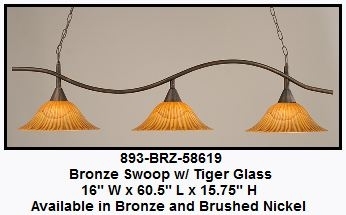 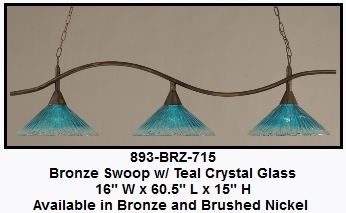 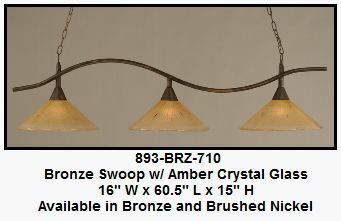 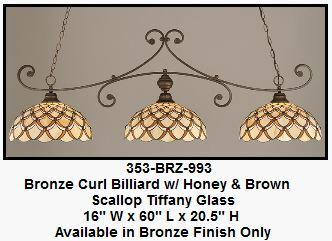 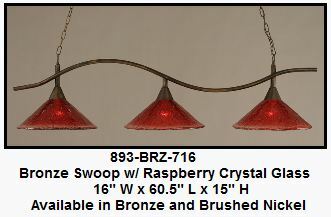 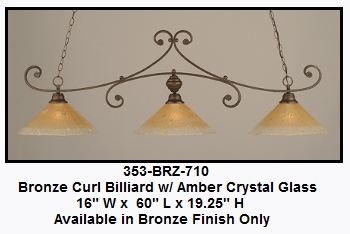 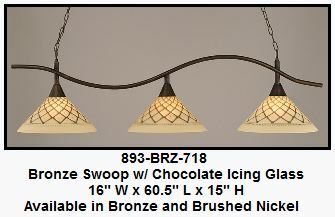 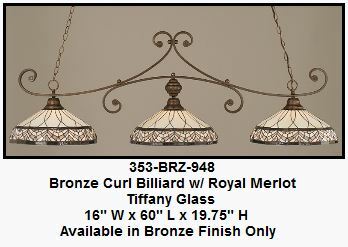 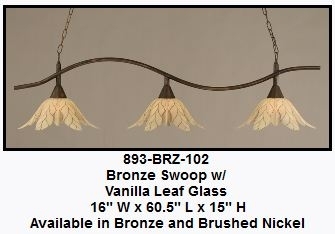 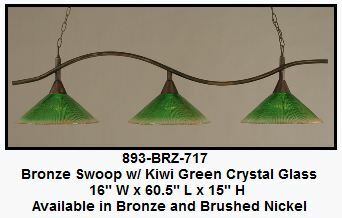 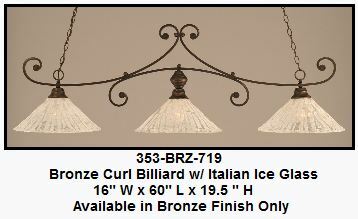 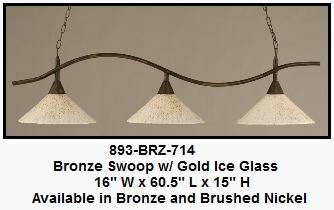 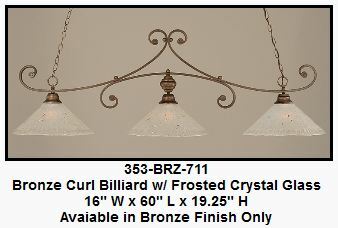 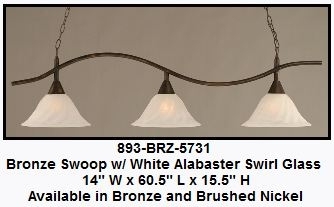 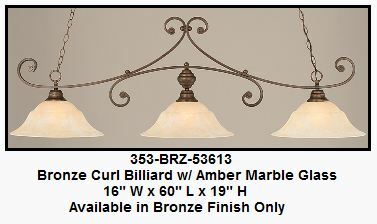 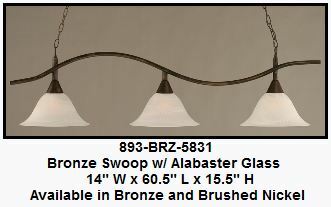 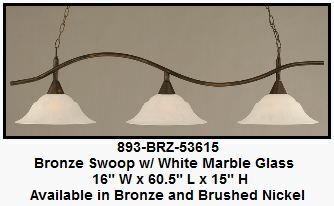 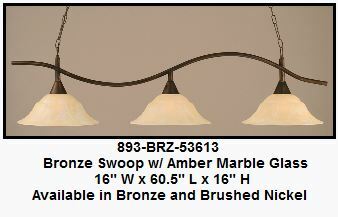 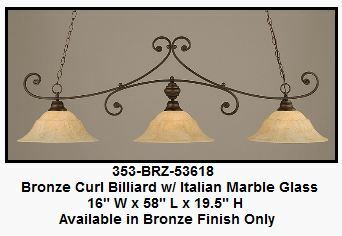 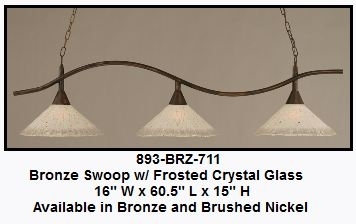 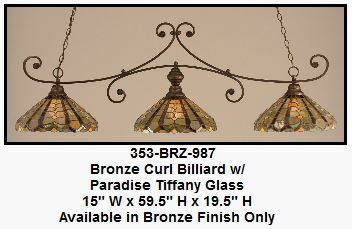 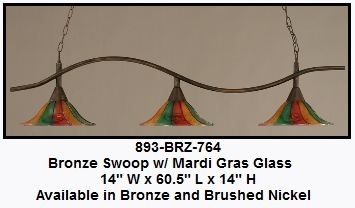 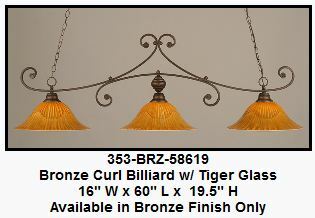 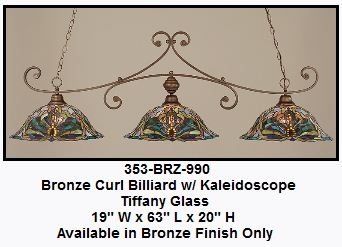 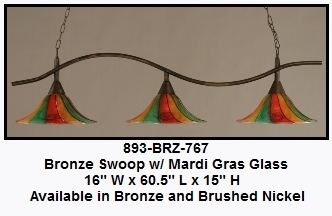 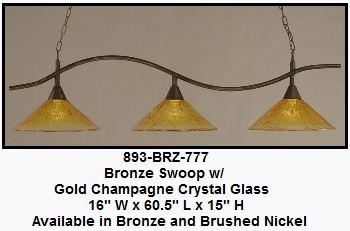 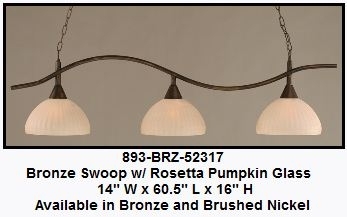 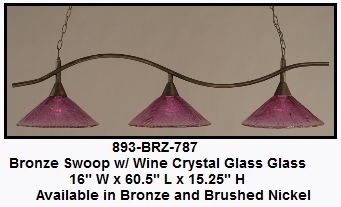 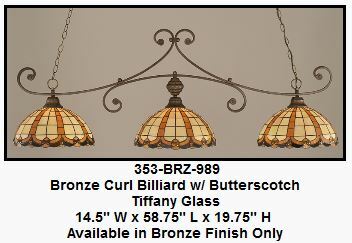 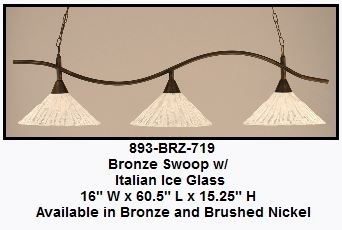 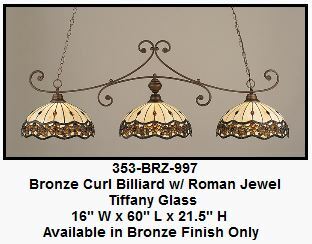 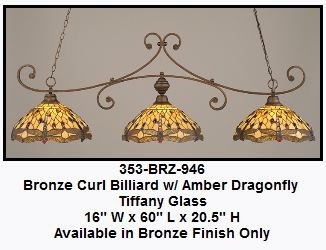 Listed in pictures below are a few of the lighting choices we offer at Billiards and Barstools Gallery. Most of these items are not in stock but we order and have within a few days most of the time. 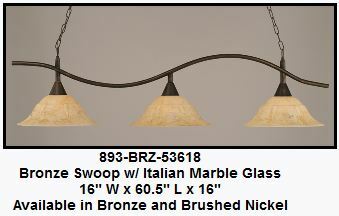 If you see any items you are interested in, print out the picture and bring it in! 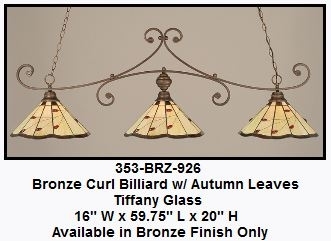 We can price and order it for you on the spot.